So, there are two reasons you watch this episode tonight. Let’s cover the Cicada problem first. The death of Uncle Oren. Chris Klein, while not really stretching a lot, finally got an arc that he excelled at. Actually, that’s not fair. As the struggling parent figure in Grace’s life, I think he’s done a fine job. Once all his anger was gone, and his dark matter healed, he began to think like a parent again. I thought, perhaps, the scenario could go one of two ways: either he got his powers back and joined Grace, or she disposed of him. Once, he showed up in a “save her soul” type scenario, the choice was clear and it was a timely choice by the writers for The Flash. Honestly until the last few minutes when Caitlin delivers some wonderful exposition, I had no clue what Cicada was or wasn’t capable of anymore, the Grace version. She seemed to grow powers by the second. Imma’ be honest: I still don’t know. But, I think this evolution of that character (while I still don’t like it as a whole) was fitting in it’s new transformation. Sidebar: This is not reason two but another plot point that I both enjoyed and brings me sadness. 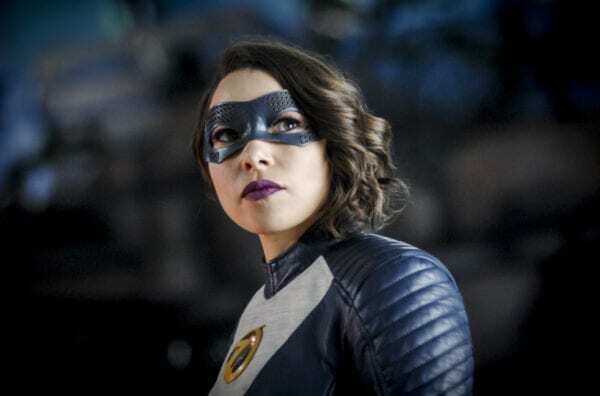 I don’t often bring up the acting chops of one Carlos Valdes (Cisco) but tonight, he definitely earned his keep. 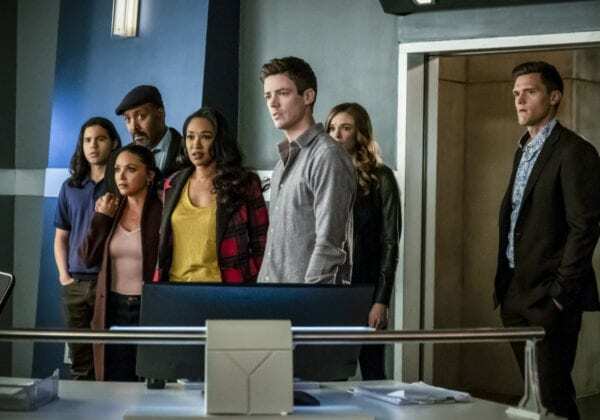 As he’s getting used to acting and living like a normal everyday guy with his new GF, Camilla, Ralph’s insistence on bringing her into the Team Flash fold causes him to have a reaction and deliver a heartfelt speech that cuts to the core of Cisco’s struggle and storyline this season. He’s ready for a new chapter in his life: one without meta abilities. We also know this is leading to the ending of Carlos on The Flash, and that’s a sad, sad day but I’m enjoying the time we have with him now. And finally point 2: the last 2 minutes. All of Sherloque’s investigations have come to a close (sure wish that Mueller report would wrap up this quickly) and the reveal was startling, even though we knew exactly what was going to be said. That’s a moment that had me on the edge of my seat! With the whole crew and family staring, as Nora tried to plead, quietly for him to stop, she had to accept what was happening. I almost thought, from Barry’s speech earlier that he would find forgiveness in his heart. After all, he plainly admitted, keeping secrets from the team was a hard lesson even he had to learn (multiple times if we want to be honest!). But, nope. He ushered her right away into a cell in the Cortex. Quite the opening and ending tonight. The Flash done it right!! 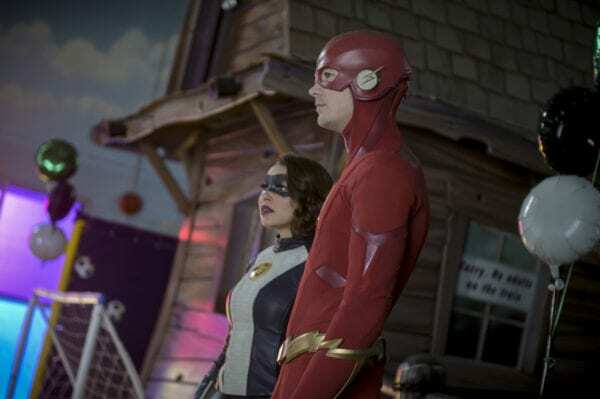 8.5/10- All the buildup to that reveal was well worth it and both Grant Gustin (with ever so slight tears in his eyes) and Jessica Parker Kennedy (as the ever lovely and talented Nora) killed it, as well as Tom Cavanagh.